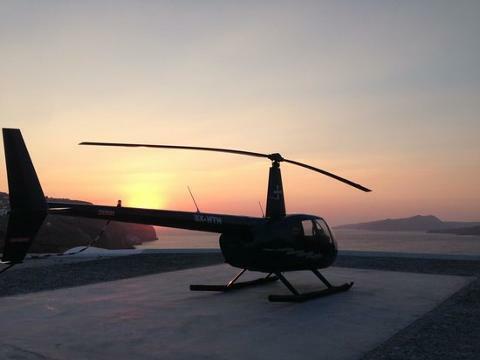 Enjoy a comfortable arrival on the island of Mykonos or Santorini with our private helicopter transfer service from Santorini to Mykonos and vice-versa. 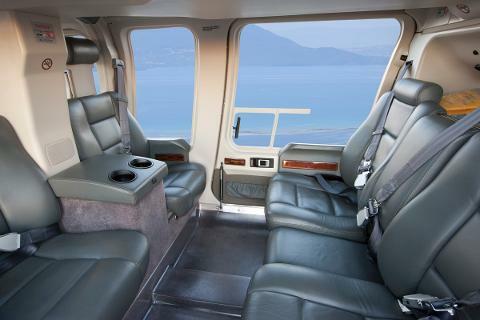 Meet your pilot on our private helicopter launch pad, and soar up and away to see the Greek Islands of Cyclades and the Aegean Sea from the air. After 40 airborne minutes, touch down in Mykonos or Santorini. 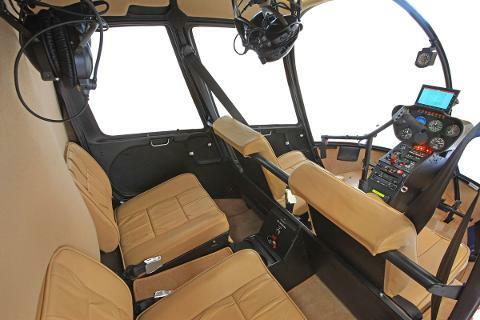 Our fleet of helicopters can seat up to five passengers. 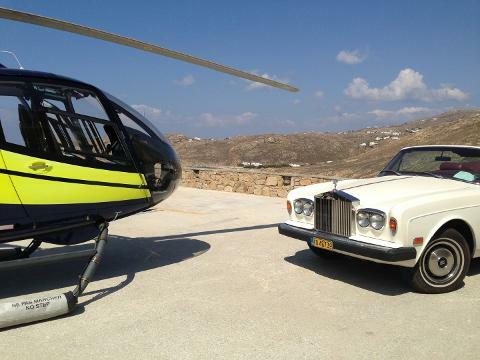 One-way private transfer or day-trip(with return included) from Santorini to Mykonos or vice-versa on a private helicopter. 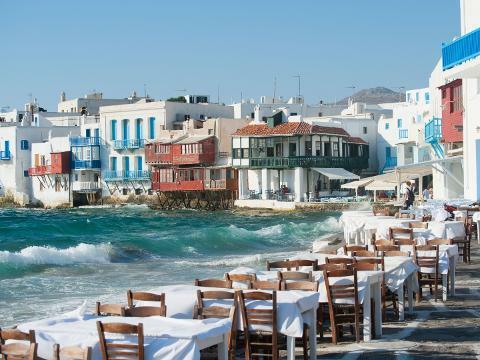 Soak up incredible views of the Aegean Sea and the Greek Cyclades Islands. Avoid the hassle of a ferry transfer and save up to six hours of valuable vacation time with a 40-minute flight. Arrange a daytime departure that best suits your vacation schedule. 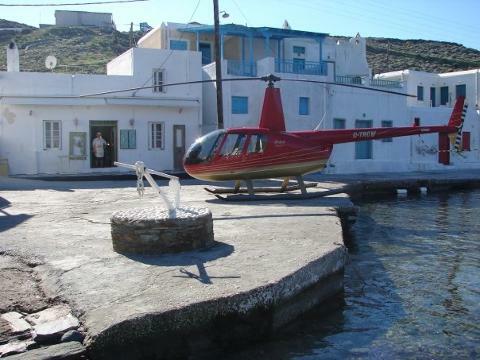 - One-way Helicopter Transfer from Santorini to Mykonos or vice-versa for 1 up to 5 passengers max: 2800.00 Euros. 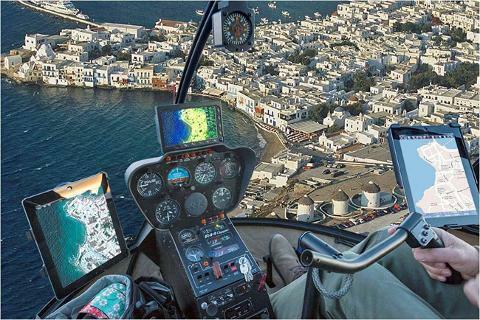 - Helicopter Day-Trip from Santorini to Mykonos for 1 up to 5 passengers max: 3600.00 Euros. 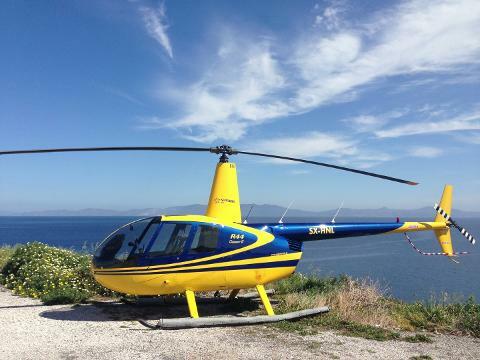 - Helicopter Day-Trip from Mykonos to Santorini for 1 up to 5 passengers max: 3900.00 Euros. 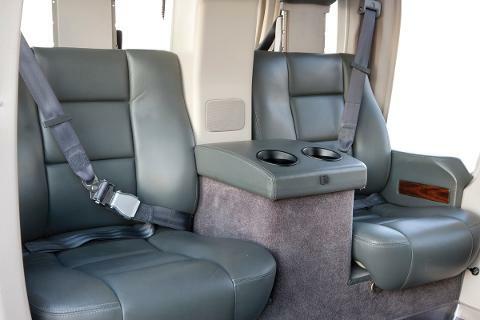 All flights are private, operated with professional pilot & helicopter. For further inquiries and information you may contact our customer experts at info@santorini-privatetour.com and (+30) 22860-34123 (9:00 am to 8:00 pm local time Greece, daily). Santorini Day Tours is the only helicopter tour operator based 100% in Santorini, not in Athens or out of Greece such as other operators. 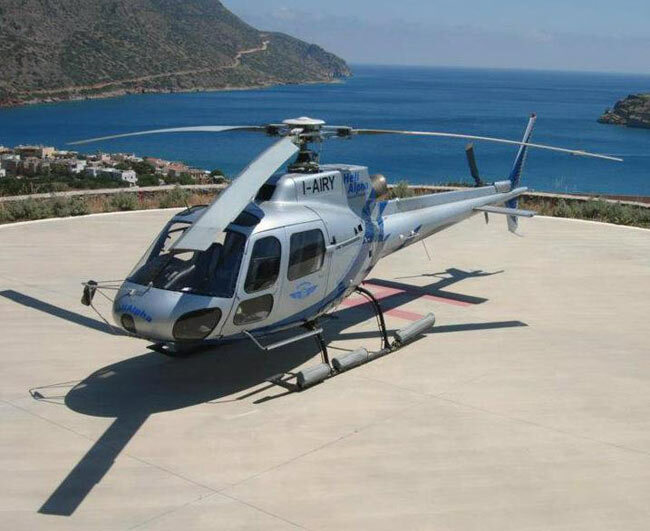 We cooperate with professional air transport companies and operate with a fleet of 2 deluxe Helicopters, available for chartering and short tours over the Aegean islands. 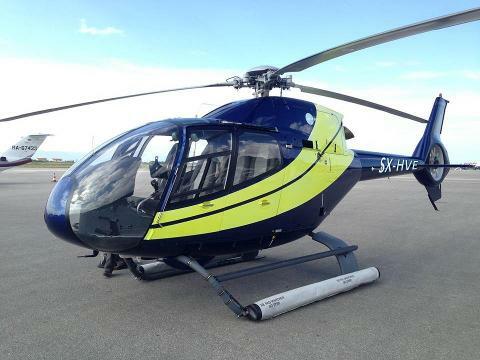 Beware of using helicopter services purchased by non-licensed operators that advertise/offer helicopter services in Santorini or Greece.